James Rowe interviewed Dutch forward Endy Opoku exclusively for WFi. They spoke about his time in the Dutch and Slovak leagues, as well as his current club, Slezský FC Opava, in the Czech Republic. He also has praise for young Celtic striker, Vakoun Issouf Bayo. You signed for Opava in 2019. How are you enjoying your time there and how would you describe the club? Things have been okay so far, I’m gradually finding my feet. I would describe the club as a family club with great supporters, especially with home matches the stadium is always full! In the 2014/15 season you played for RKC Waalwijk in the Netherlands. How do you look back on your time there? Do you have any highlights? The start of my professional football career. It was a great experience to make my debut in professional football. What put the icing on the cake was my first professional game against my former club, PSV Eindhoven. How would you describe the level of the Czech Fortuna Liga. Are their specific teams that stand out in terms of quality? In all the leagues that I’ve played in so far, I think this is the highest league. No disrespect to the other leagues, but looking at clubs such as Plzen, Slavia and Sparta they have a lot of quality and have a good name In Europe. Between 2016 and 2018 you played for FK Železiarne Podbrezová in Slovakia. How do you look back on your time at the club? Good, I had some good moments and some bad moments as well, but I’m grateful that I had the opportunity to play for Podbrezová. They gave me the chance, if that wasn’t the case I probably wouldn’t be here right now. Could you say who are the best players that you have played alongside in your career so far? I’ve played with a lot of great players, especially at youth level, who have made it to the big stage. It’s hard to say who was the best but just to name a few; Memphis Depay, Jorrit Hendrix, and Andreas Pereira. Are there any particular opponents that you have faced in your career so far that stand out? 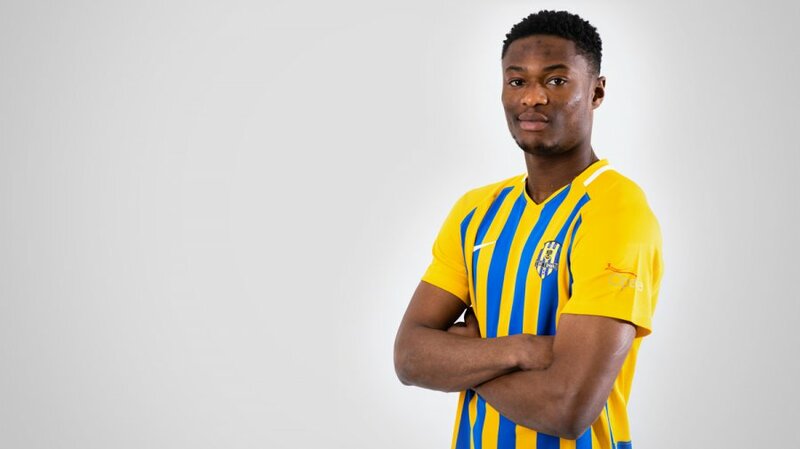 Even this was one is a hard one, but if I look back at my time in Slovakia I was impressed by Vakoun Bayo (the former Dunajska Streda striker). He has great potential he did a fantastic job in the Slovak league that led to a beautiful transfer to Celtic. I believe if he keeps his focus, he can become a big name. Finally, Endy. Are there any managers who have played a key role in your development as a professional footballer? I learned a lot from my former coach at Podbrezova, Marek Fabula. He knew my weaknesses and my strengths and made me think what I needed to improve. Furthermore, also credit to all the other coaches, especially the ones I had at youth level, for preparing me to become a professional footballer.